Bulletin: Our new fleet of dirt bikes has arrived froM Thousand Oaks Powersports! Dirt Bike Academy would like to welcome Shinko Tires as a new sponsor! 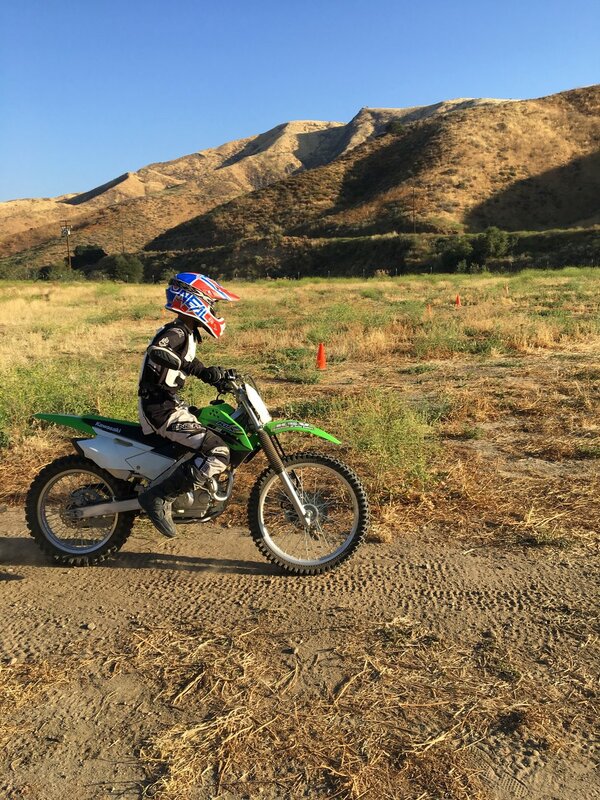 Dirt Bike Academy is dedicated to teaching the basic skills necessary to safely operate dirt bikes. Our instruction is based on the Motorcycle Safety Foundation’s (MSF) proven Rider Course curriculum. All of our instructors and riding coaches are MSF certified. All class time is spent on the riding course in real-world riding conditions. The total class time for each session varies from four to six hours depending on weather, class size, and student abilities. WE ARE STOKED TO ANNOUNCE OUR NEW SPONSOR THOUSAND OAKS POWERSPORTS! WE WOULD LIKE TO WELCOME OUR NEW GEAR SPONSOR O’NEAL RACING! THANKS TO OUR DEDICATED SPONSOR EKSBRAND GOGGLES!